305 Commonwealth is located on the north side of Commonwealth, between Gloucester and Hereford, with 303 Commonwealth to the east and 32 Hereford to the west. 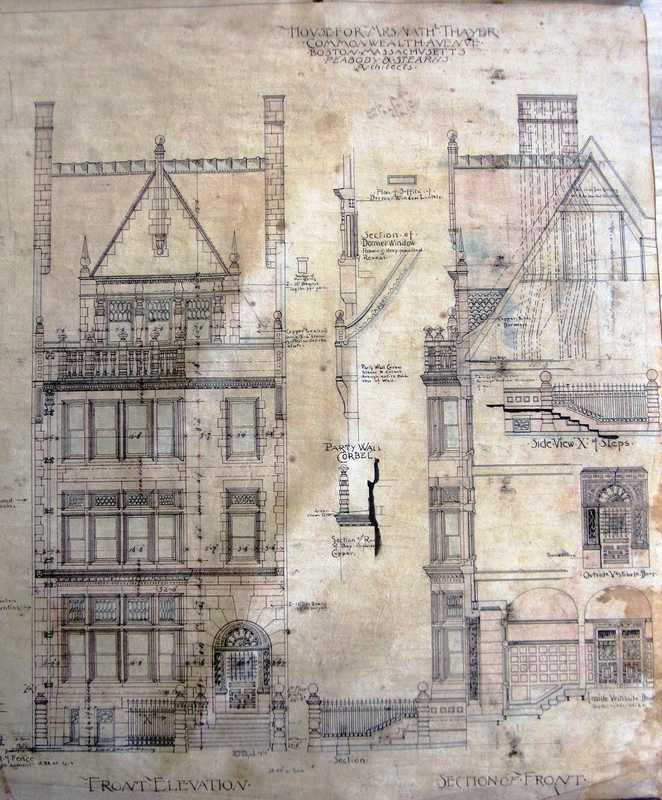 305 Commonwealth was designed by architects Peabody and Stearns and built in 1884-1885 by Woodbury & Leighton, contractors and builders, and Benjamin D. Whitcomb, carpenter, for Cornelia Patterson (Van Rensselaer) Thayer, the widow of banker and railroad investor Nathaniel Thayer. She is shown as the owner on the final building inspection report, dated January 28, 1886. 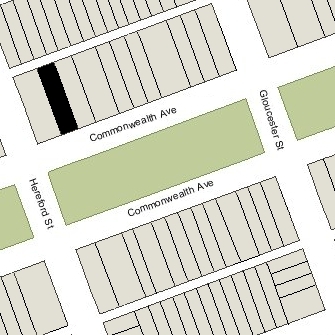 The lot on which 305 Commonwealth was built was part of a larger parcel acquired by the Thayer family in 1883. On April 2, 1883, Nathaniel and Cornelia Thayer’s sons, Nathaniel Thayer, Jr., and Eugene Van Rensselaer Thayer, purchased the land at the northeast corner of Commonwealth and Hereford, with a frontage of 71 feet on Commonwealth. On May 18, 1883, they transferred the land to their sister, Harriet Bayard Thayer, who augmented it with the purchase of an additional six foot wide lot on July 23, 1883. All of the land had been part of a larger parcel owned by building contractor George Wheatland, Jr., and originally had been part of one of four tracts of land purchased on March 1, 1872, from the Boston Water Power Company by a real estate investment trust formed by Grenville Temple Winthrop Braman, Henry Dwight Hyde, and Frank William Andrews. Click here for an index to the deeds for 305 Commonwealth. Harriet Thayer married in October of 1883 to John Forrester Andrew. She retained the corner lot with a 45 foot frontage on Commonwealth where she and her husband built their home at 32 Hereford. She transferred the remaining lot to the east, with a 32 foot frontage, to herself and her four brothers: Nathaniel Thayer, Jr., Eugene V. R. Thayer, Bayard Thayer, and John Eliot Thayer. 305 Commonwealth subsequently was built on that lot. 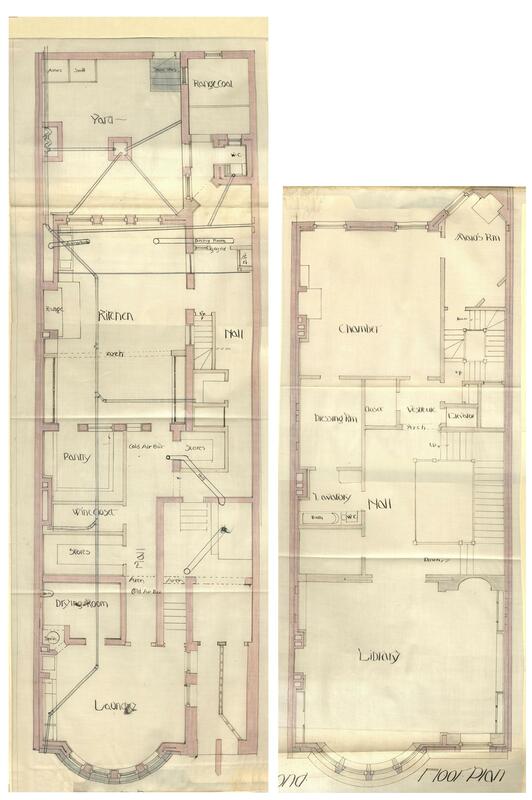 Plans for 305 Commonwealth – including front and rear elevations, floor plans, framing plans, interior sections, and drawings of architectural details – are included in the Peabody and Stearns Collection in the Boston Public Library’s Arts Department (reference PS/MA.153). Click here to view the original plans for 305 Commonwealth. 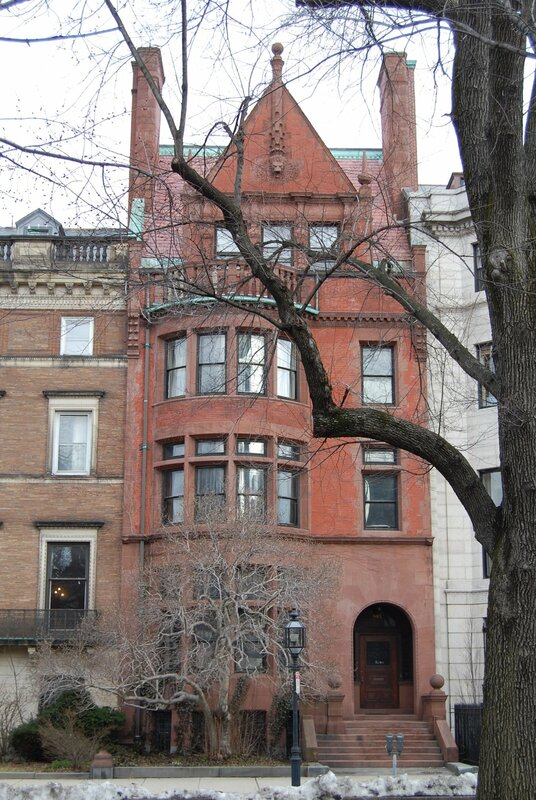 305 Commonwealth was completed by the 1885-1886 winter season and Cornelia Thayer made it her home. She previously had lived at 70 Mt. Vernon. She also maintained a home in Lancaster. Her son, Bayard Thayer, a noted yachtsman, lived with her. Harriet (Thayer) Andrew died in September of 1891 and left her one-fifth interest in 305 Commonwealth to her mother. John Andrew died in May of 1895. Bayard Thayer married in September of 1896 to Ruth Simpkins. After their marriage, they lived at 32 Hereford, the Andrews’ former home. Cornelia Thayer continued to live at 305 Commonwealth and in Lancaster until her death in March of 1897. In April of 1897, 305 Commonwealth was purchased from the Thayer family by wholesale dry goods merchant Joseph Stevens Kendall and his wife, Ellen B. (King) Kendall. Living with them were their son-in-law and daughter, Richard Fairfax Bolles and Mary (Kendall) Bolles. Richard Bolles was a banker and stockbroker. 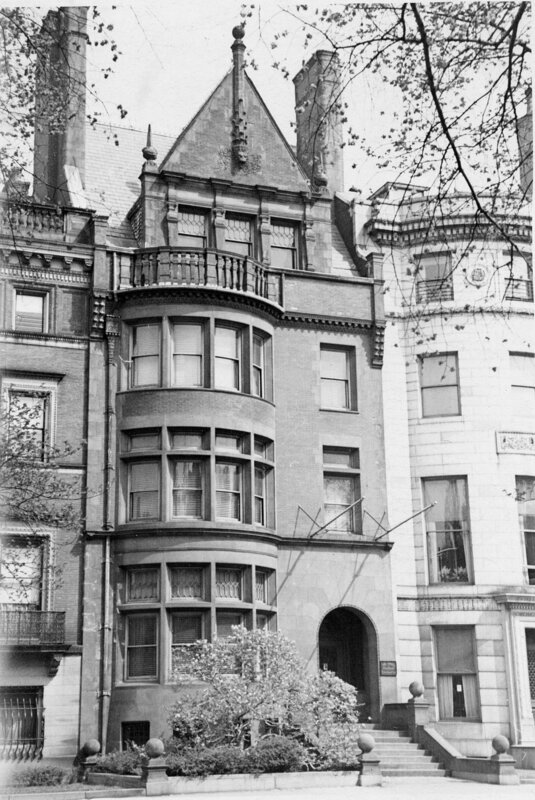 The Kendalls and the Bolleses previously had lived at 316 Beacon. Joseph Kendall died in April of 1903. Ellen Kendall continued to live at 305 Commonwealth with Richard and Mary Bolles. Ellen Kendall died in June of 1909. Richard and Mary Bolles continued to live at 305 Commonwealth and also continued to maintain a home in Cohasset. The Bolleses’ two daughters — Dorothy Fairfax Bolles and Barbara Kendall Bolles — lived with them. Barbara Bolles married in November of 1915 to Dr. George Osgood, a surgeon. After their marriage, they lived at 305 Commonwealth with her parents. He enlisted in the Medical Corps during World War I and, after his return, they separated; she lived with her parents and he lived in Cohasset. Barbara Bolles married again in 1922 to Edward Clarence Hovey, Jr. After their marriage, they lived in Brookline. Richard and Mary Bolles and Dorothy Bolles continued to live at 305 Commonwealth until about 1935, after which they made Cohasset their year-round home. 305 Commonwealth was not listed in the 1936 and 1937 Blue Books, and was shown as vacant in the 1936-1939 City Directories. On April 22, 1939, 305 Commonwealth was acquired from Mary Bolles by Charles R. Lynde, Jr., who reconveyed the property three days later to the AHEPA (American Hellenic Educational Progressive Association) Charitable and Educational Corporation of Massachusetts. AHEPA converted the property into meeting rooms and offices, but appears not to have applied to change the legal occupancy until December of 1955, which it filed to do so but then abandoned the permit. In May of 1982, it filed for permission to convert the property (still legally a single-family dwelling) into offices with two parking spaces. The application was denied and their appeal was dismissed. On October 14, 1982, Donald N. Sweeney and his wife, Patricia M. Sweeney, purchased 305 Commonwealth from the AHEPA Charitable and Educational Corporation (Dean Demeter, President). In May of 1983, they applied for (and subsequently received) permission to convert the property from a single-family dwelling into a single-family dwelling and professional office. On August 5, 1986, Robert B. Crowe, trustee of the 305 Commonwealth Avenue Trust, purchased 305 Commonwealth from Donald and Patricia Sweeney. In July of 1986, he applied for (and subsequently received) permission to convert the property into a three-family dwelling. The permit subsequently was abandoned. On July 1, 1987, Eugene Bell and his wife, Millicent (Lang-Sissman) Bell, purchased 305 Commonwealth from Robert Crowe. A former professor of biology at MIT, Eugene Bell was a pioneer in tissue engineering and founder of biotechnical firms that created skin-like tissue for use in skin grafts and other wound-healing products. Millicent Bell was a professor of English at Boston University and a noted author and biographer. Eugene Bell died in June of 2007 and Millicent Bell died in September of 2015. On November 30, 2015, 305 Commonwealth was purchased from Millicent Bell’s estate by the 305 Hexagon LLC (Sandra M. Edgerley, manager of record). In June of 2016, it received a permit to remodel the property, converting it from a single-family dwelling into four units and an interior garage. On September 13, 2018, 305 Hexagon LLC converted the property into four condominium units, The 305 Commonwealth Avenue Condominium. 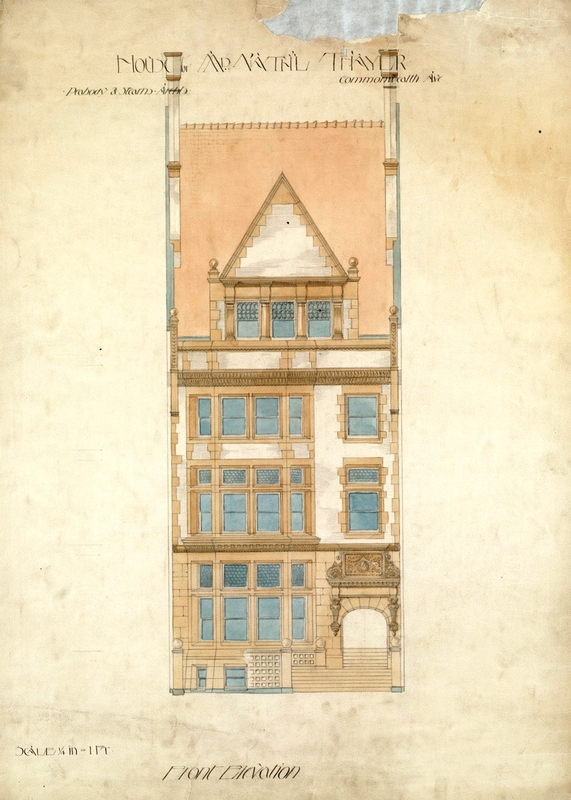 Below are original front elevations of 305 Commonwealth as drawn by Peabody and Stearns in 1884, showing alternatives for the design, courtesy of the Boston Public Library, Arts Department, Peabody and Stearns Collection, and Grassi Design Group, Inc. The elevation on the left appears to be the earliest. It includes a frieze above the front entrance and stone fence across the front garden, but does not include any decoration on the gable. In the elevation to the right, a decorative element has been added to the gable; the frieze above the entrance has been retained (but possibly reduced somewhat in size) and the stone fence has been replaced with a wrought iron fence. In the elevation below which also includes a section view, the frieze above the entrance has been eliminated. This appears to be the closest to the design of the house as it ultimately was built. 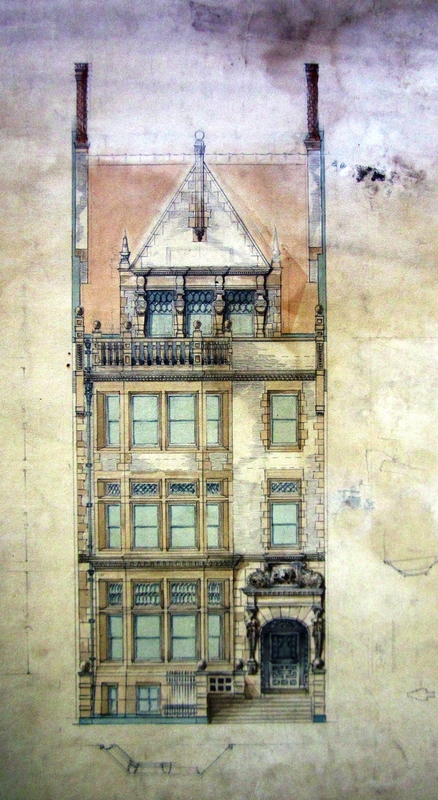 Click here to view additional drawings from the original plans for 305 Commonwealth.